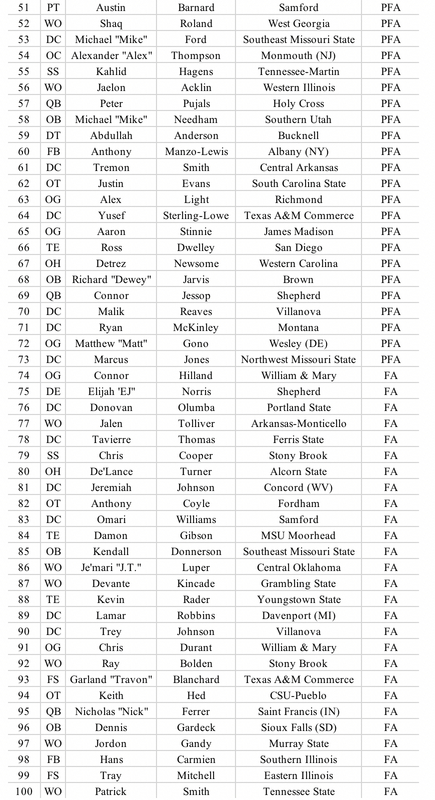 2018 NFL Draft Top 200 Small School Prospects. This list has been compiled by Josh Buchanan. Josh has spent the last 5 years scouting for the NFLPA Bowl and spent 3 years as chairman of the player selection committee for the Offense-Defense High School All-America Bowl where he worked the 2012-2014 recruiting classes. He has previously worked for other games such as the Las Vegas All-American Classic, written FCS content for Phil Steele Magazine, and has been covering the draft since 2003. You can find him on twitter @Joshnfldraft. 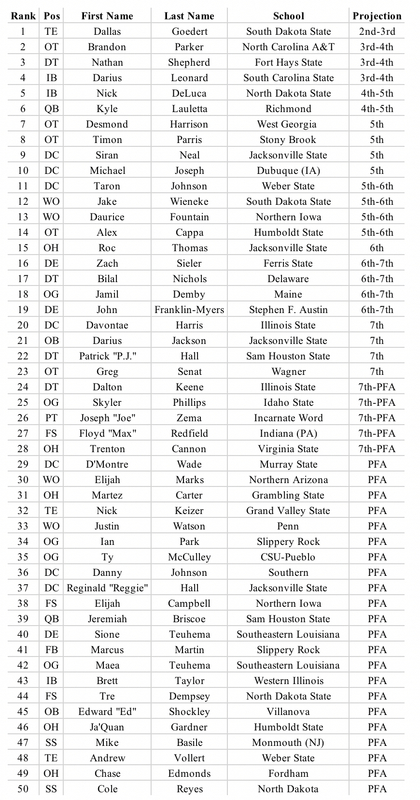 With the NFL Scouting Combine now over I unveil my top 200 small school prospects. South Dakota State tight end Dallas Goedert has been my top prospect since his junior season. 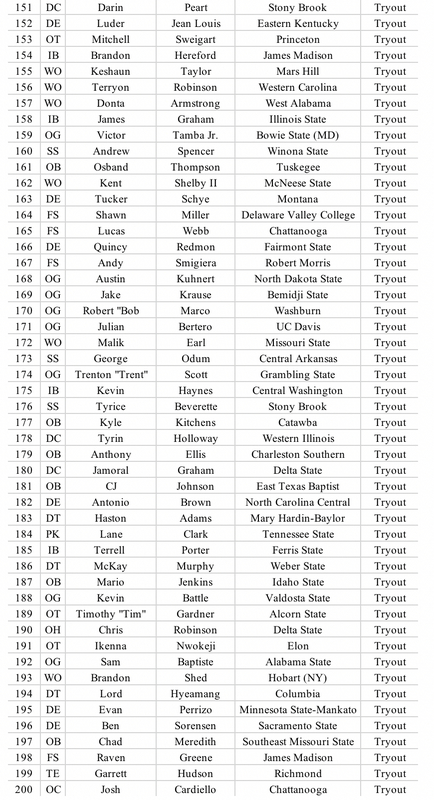 UNI receiver Daurice Fountain is the top rated player who was not invited to the NFL Scouting Combine after his MVP performance at the East-West Shrine Game. 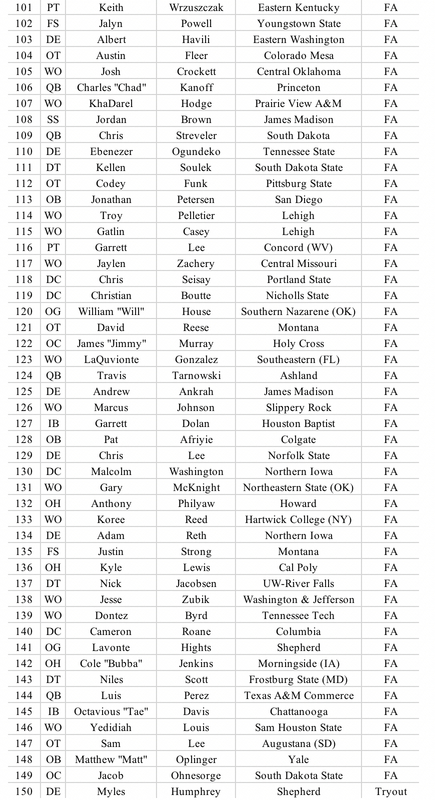 Check back in the coming weeks for my post Pro Day rankings as those results will cause some to rise or fall.